Carpet industry in India is one of the oldest and the most popular industries of what sprung the invention of Mughal Rugs. India has always had an ancient heritage of carpet weaving, a craft that has various skill and expertise from lands as various as Persia, China and Afghanistan. 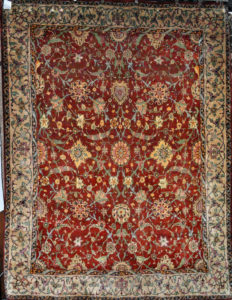 The history of Indian carpets entails that when Babar came to India, he was disappointed by the lack of luxuries. He missed the luxuries of Persia, which included the Persian carpet and thus Akbar laid the foundation of carpet weaving tradition in India, in 1580 AD at his palace in Agra. 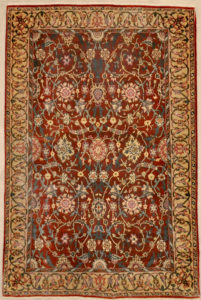 Akbar established carpet weavings centers at Agra, Delhi and Lahore to facilitate production of Persian styled carpets. Some of the most royal carpet in India can be seen from Mughal period which were inspired by designs of Kirman, Kashan, Esfahan, and Herat. 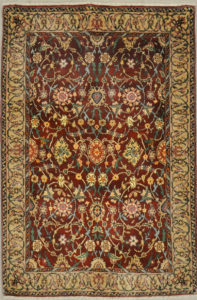 Mughals not only used the Persian technique of carpet weaving, but were also influenced by traditional designs and motifs from Persia. Akbar brought certain Persian carpet weavers to India and established them in India. The art grew and flourished here and it was modified as per the royal tastes and mixed with the Indian arts. 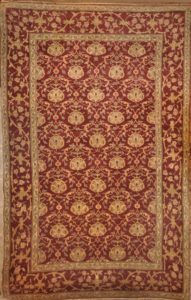 Mughal carpet, Mughal also spelled Moghul or Mogul, any of the handwoven floor coverings made in India in the 16th and 17th centuries for the Mughal emperors and their courts. 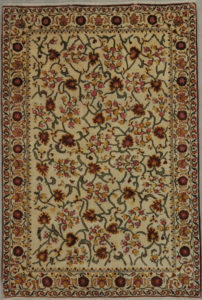 Aside from patterns in the Persian manner, a series of distinctively Indian designs were developed, including scenic and landscape carpets; animal carpets with spirited chases backward and forward across the field; elaborate architectural latticeworks in the Italian manner, with floral content; and several magnificent prayer rugs with a prominent central flowering plant. The Emperor Shah Jahan founded the tradition of weaving Mughal rugs. He was a conqueror of many lands and the driving force behind construction of the Taj Mahal. 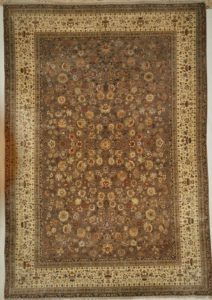 The Mughal Empire that birthed these rugs is so synonymous with wealth and success, that the contemporary word “mogul,” meaning a powerful, successful person, is derived from it. 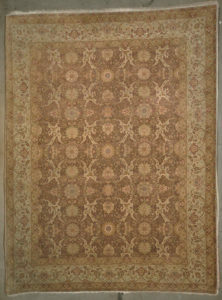 A subgroup of Oriental rugs, Mughal carpets have their roots in India in the 16th and 17th centuries. 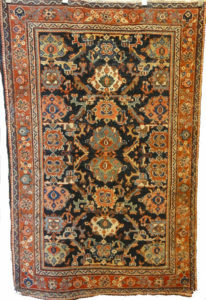 These colorful, opulent rugs began with designs reminiscent of Persian rugs. However, as they developed their own identity, botanical themes started to emerge. Scenes of battle and wildlife are also popular, used to conjure strength and prosperity. Characteristic of the floral patterns is common use of trailing blossoms such as wisteria or elongated bunches of grapes. Handwoven and made for royalty, Mughal rugs are often the pinnacle of craftsmanship. 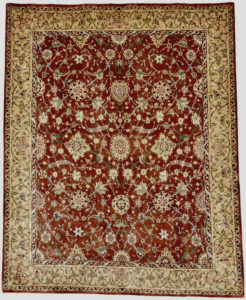 Many of these carpets, the so-called Indo-Isfahan types shared in the common repertory of later Islamic design that was used in contemporary Safavid Persian rug production. But others, especially those produced in Agra or farther south in the Deccan, have a distinctive Indian style, with highly naturalistic, almost tropical plants and flowers and a rich palette of deep reds, greens, and yellows. Antique Mughal carpets were court art and as such they have a regal, palatial aura redolent of a bygone era of luxury and imperial grandeur. 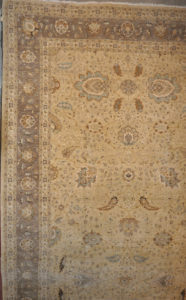 The Indian woolen carpets are inspired by the classical Persian motifs transformed to the most contemporary style. Bright glowing colors, hand-knotting technique allowing high number of knots per square inch and exquisite design sense have made Indian hand-knotted woolen carpets, cherished products in home décor. 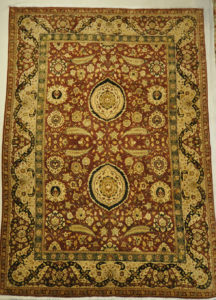 Come and stop by our gallery to find Fine Antique Mughal carpets at 410 Olive. 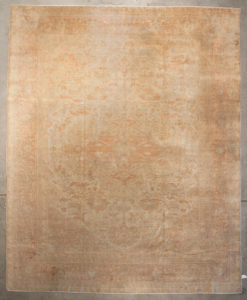 Finest hand knotted and natural dyed wool. A fantastic piece of woven art in dying form. an heirloom for the future. Carpet weaving was one of the most outstanding aspects of textile production in India under the Mughal dynasty from the late sixteenth to early eighteenth centuries. 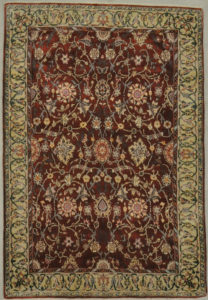 Many of these carpets, the so-called Indo-Isfahan types shared in the common repertory of later Islamic design that was used in contemporary Safavid Persian rug production. The distinctive and beautifully drawn botanical motifs are not the only elements behind the stylistic richness of Mughal carpets. The empire’s expert dyers contributed to the vibrant, colorful style of these early rugs. 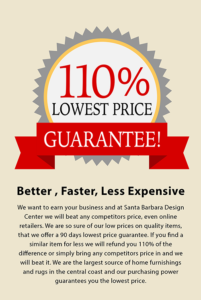 Agra Rugs are difficult to classify as they vary in size, design, and composition. Although they often exhibit open fields with smaller medallions and guards, they can also be woven with all-over designs. Antique Mughal carpets were court art and as such they have a regal, palatial aura redolent of a bygone era of luxury and imperial grandeur. A classic motif, the last of a dying art. Carpet weaving was one of the most outstanding aspects of textile production in India under the Mughal dynasty from the late sixteenth to early eighteenth centuries. 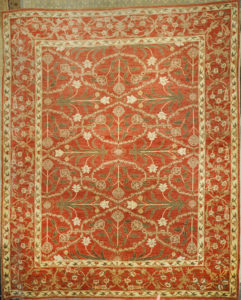 The Mughal empire in India led to the apex of Indian weaving in their Mughal rugs.